Paul Horn, an artist from San Diego, turned my headshot, photographed by Irene Young, into an 'avatar.' If you are a performer, this is a fun thing to add to your presskit. 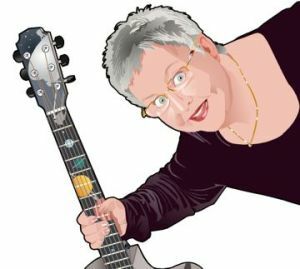 If you are not a performer, this is a great gift you can give to a friend -- turn them into an avatar. Could a Superhero comicbook be far behind?? ?